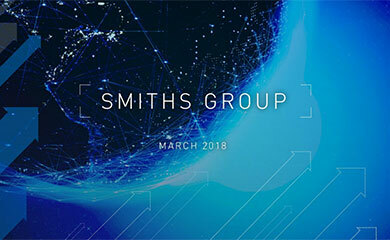 SMITHS Detection, part of the global engineering business Smiths Group, today announced that it has received its first substantial contract from Dubais Department of Civil Aviation to provide explosives detection equipment at Dubai International Airports (DXB) new Terminal 3 (T3), currently under construction. Around 70 automatic Smiths Heimann HI-SCAN x-ray screening systems will be integrated into the state-of-the-art baggage handling system in order to screen both checked and other outbound baggage for Emirates airlines, the sole occupant of T3. To take advantage of the combination of high throughput and outstanding picture quality the Dubai aviation authority has also selected similar Smiths Detection automatic screening equipment to inspect inbound baggage. Stephen Phipson, Group Managing Director of Smiths Detection, said: "Smiths Detection is very proud to have been selected to help protect this newest terminal at the Middle Easts busiest airport. "We anticipate this multi-million dollar contract to be only the start of our involvement in the airports expansion project. When it opens, T3 will be one of the most advanced terminals in the world, giving DXB the capability to handle 70 million passengers a year. "Dubais decision to purchase Smiths Detection security screening equipment clearly illustrates that our expertise and technology together create the solution to the security requirements demanded by this fastest growing hub in the Middle East." 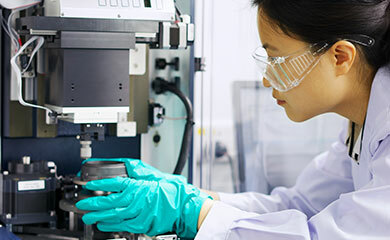 Smiths Detection won the contract against international competition on the technical merits of its Smiths Heimann screening systems, including the high resolution image quality. The competitive bid process included intensive testing of the systems by DXB operations, security, Dubai police and Customs. This is the latest in a series of international purchases of Smiths Detection 100% Hold Baggage Screening technology deployed in multi-level arrangements with comprehensive networked image evaluation features. These include the most recent projects related to major international airports in France, Scandinavia, Spain, Frankfurt, Munich and Hamburg. The Smiths Detection HI-SCAN systems selected by Dubai can screen up to 1,800 bags per hour, the highest throughput available in any automatic explosives detection system in the aviation industry.